Superheroes are all the rage these days. There’s not a single A-list actor/actress who hasn’t sidled their way onto the Marvel Cinematic Universe character roster; and with DC looking to throw a few return punches in the near future, I think it’s safe to say that our local cinemas will be utterly preoccupied with tight bodysuits and the occasional cape for many years to come. And I mean, being ludicrously wealthy is NOT a real superpower. 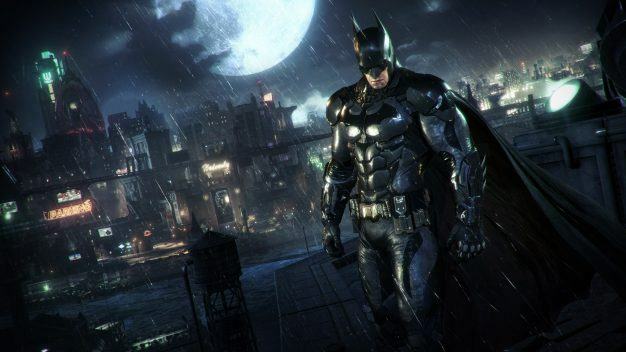 The gaming industry is less saturated, being largely dominated by Rocksteady and Warner Bros.’ Batman: Arkham series or LEGO Marvel productions. If there’s a running theme here, it’s that these are characters with whom we are all incredibly familiar: be it cinema or videogame, there are no new supers in sight. And that, folks, is where Megaton Rainfall comes in. 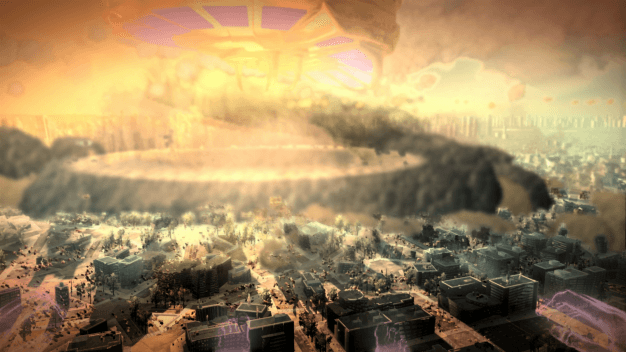 It’s been 2 years since we last saw Megaton Rainfall. Unveiled at the Independent Gaming Festival in California back in 2015, developer and publisher Pentadimensional Games have been quietly chipping away at their behemoth of a venture until two days ago, when a flurry of announcements gave us a full trailer for the game – we’ll get to that shortly – and a release date for PS4: September 26th. 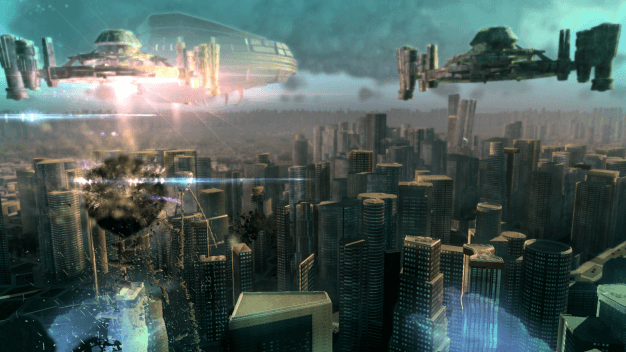 Taking its cues (in my opinion) from Watchmen‘s Doctor Manhattan, Megaton Rainfall hands you the reins of a “indestructible inter-dimensional super-being” who can reach Mach 10 in 5 seconds and topple buildings with a mere thought. And what does this quasi-deity do when it’s not wandering the seventh plane of the eternal realm? It defends us pathetic earthlings from alien invasion. Of course, we pathetic earthlings are utterly unprepared to deal with either extra-terrestrials or inter-dimensional super-beings, and therein lies the catch: use your omnipotence to destroy the hordes of mechanical alien ships, but watch out, because one blunder and you’ll demolish half of Paris. Or punch a hole through a continent. 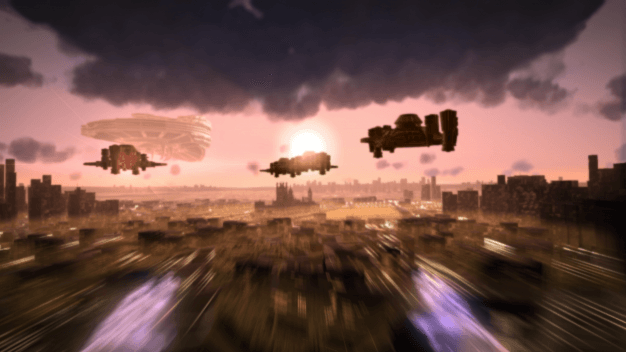 Boasting an extraordinary open world (I mean literally, world: planet Earth is the first explorable area) and “unprecedented freedom of movement” in the form of unlimited flight and speed, Megaton Rainfall is one of the most ambitious videogame projects I’ve ever seen, particularly given its humble beginnings. Having started in 2012 as a one man band, lead developer Alfonso del Cerro has since been joined by several new artists, as well as musical talent from David Garcia, who has lent his talents to Rime and Hellblade. Oh, and he’s also written a lovely blog article on the PlayStation Blog that offers a ton of additional information and some sneak previews of the environments, baddies, and super-powers. Prices are as of yet unknown, but the game is confirmed to be PSVR ready, and will be available on Steam in the foreseeable future. 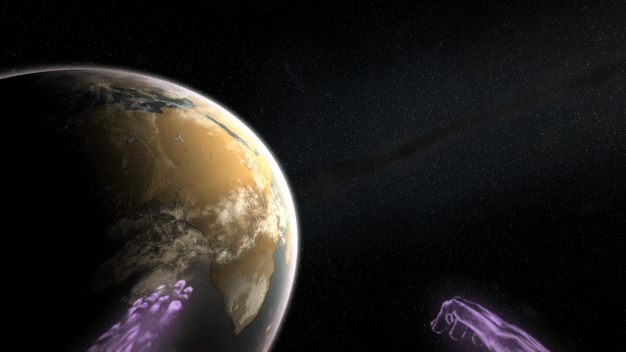 If you want more information on the game, check out the Megaton Rainfall website here.